Sanitary Diaphragm Valve is specially designed for sanitary and aseptic pipeline due to its double sealing system both of valve’s body and seat. 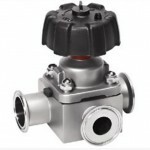 Manual or automatical operated and welded or clamp end, direct or three ways, diaphragm valve provides convenience and asepsis to control the flow. Wellgreen offers different types to meet variety needs of hygienic industries of Food, Brewery, Beverage, Dairy, Pharmaceutical etc. Stainless Steel F316L, F304 forged etc. The diaphragm made with Softness and elastic material is not sensitive for the working medium which polluted by fabric, solid grain, catalyze object, etc. In general, it also will not affect the valve working and sealing condition. We select the right diaphragm material such EPDM, Code, 1/3A, 16/6A, or FPM/Viton, Code 4 and 4A etc. according to the working/sterilizing temperature, and the chemical identity of working medium. Superior hygienic design — The opening or closing of sanitary diaphragm valve is controlled by a diaphragm which ensures absolute isolation of internal pipeline and external environment. The valve is applicable to the aseptic process. Simple structure, easy cleaning and maintenance — our sanitary diaphragm valve is composed of a few removable parts (a valve body, a diaphragm, a handle or actuator), no special tools are required. Unique Diaphragm Design–The diaphragms are available in soft elastomers (EPDM/FPM/Q) as well as hard elastomers (PTFE). 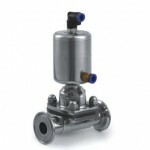 Sanitary diaphragm valve is excellent for flow control as well as for open/close duties. Forged stainless steel F316L, F304. All diaphragm seal consistency with FDA certificate. Both manual and automatical operated and multi-connection for every needs. 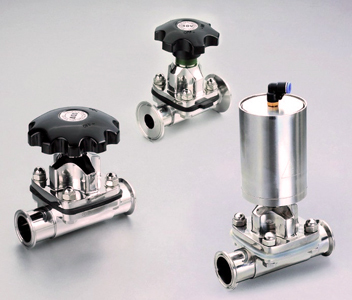 The design of diaphragm valves are better in feature of flow in comparison with other valves. 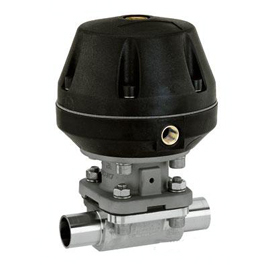 The diaphragm valve is excellent for flow control as well as for open/ close duties. Easy to clean up and better to process the substance with particles. All synthetic resin and additive are comply with FDA certification. 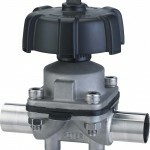 The valve is excellent for flow control as well as for open/ close duties. *For more information of sanitary diaphragm valves, please contact us for free.